We first published this post in 2015 when we first heard about World Doll Day. In 2018 World Doll Day is on June 9, so a date for the calendar me thinks! The day was established in 1986 by Mildred Seeley to celebrate not just dolls, but nurturing, loving and caring, and the people who offer it, in general. Mildred recognised the importance of playing with dolls during childhood as doll play encourages both girls and boys to learn to look after and care for others using skills that they will need throughout their lives. 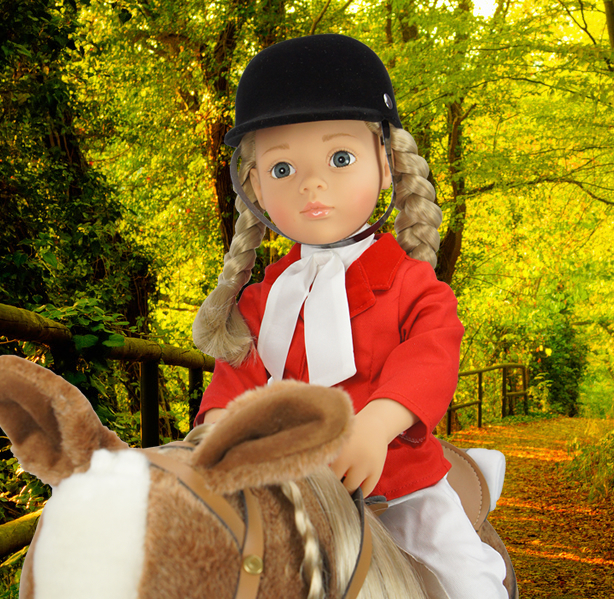 Therefore World Doll Day is celebrated by giving a doll to anyone, whether a child or adult, as a symbol of the importance of doll play in childhood. So why are dolls so very important to children, both boys and girls? Very young children use their dolls to role play. They copy their mums and dads and act out feeding, nappy changing, putting dolls to bed, putting them in a pushchair for a walk, in fact, everything that their carers do for them young children will copy with their dolls. These skills are being practiced over and over and learned ready for when they too become a parent in later life. 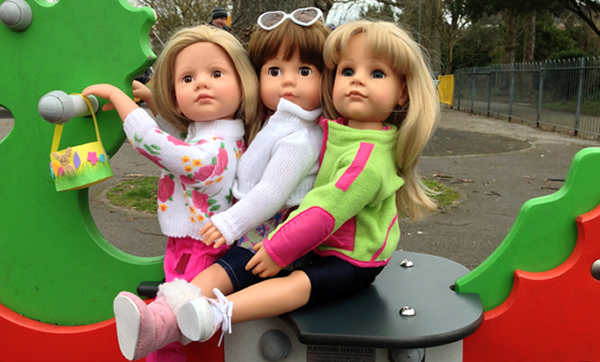 Playing with dolls also develops empathy. 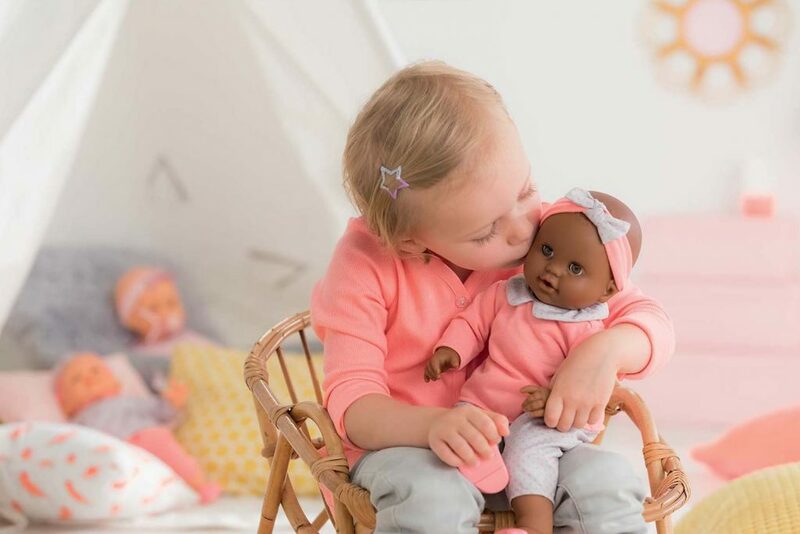 A child has to think about what their dolls need and respond accordingly, thereby learning to consider others and to not just think about themselves. When a doll is crying, what does it need? Is it cold, hungry or does it just need a cuddle? Remember that any doll with or without batteries can cry – it’s all in the child’s imagination. 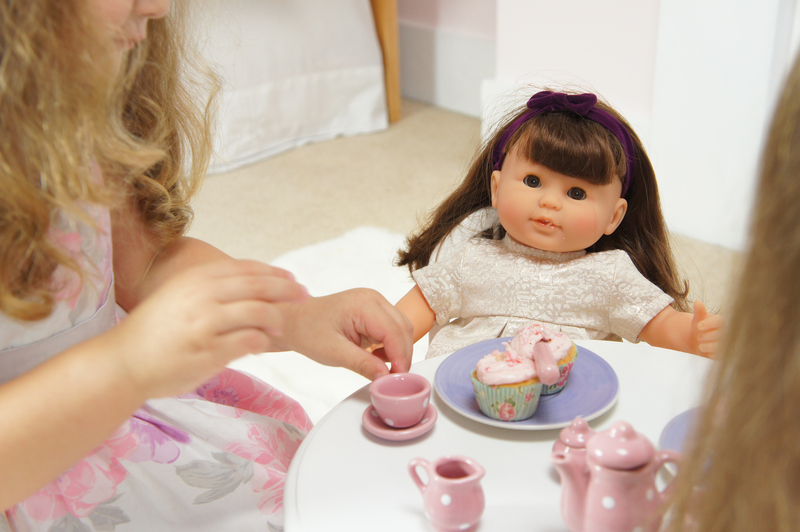 Just like parents and carers talk to their children, young children talk to their dolls. 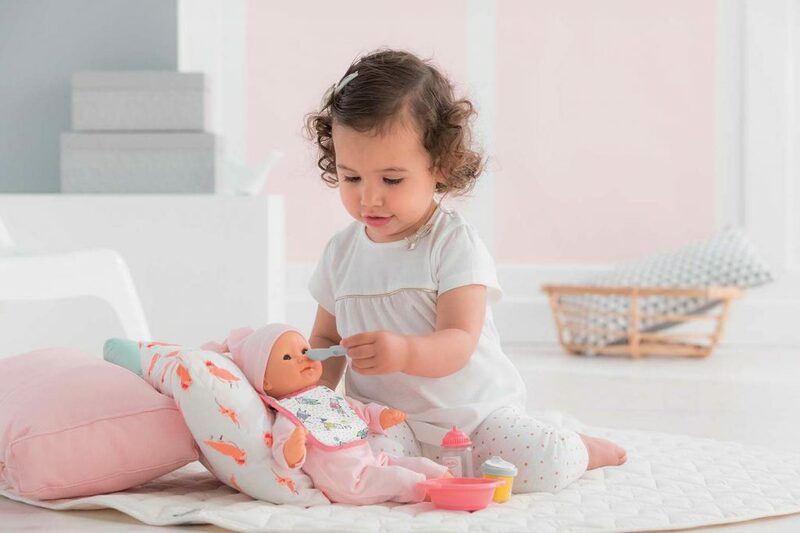 Children can chatter away for hours about all kinds of things with their little friends, which helps with their speech and vocabulary development. 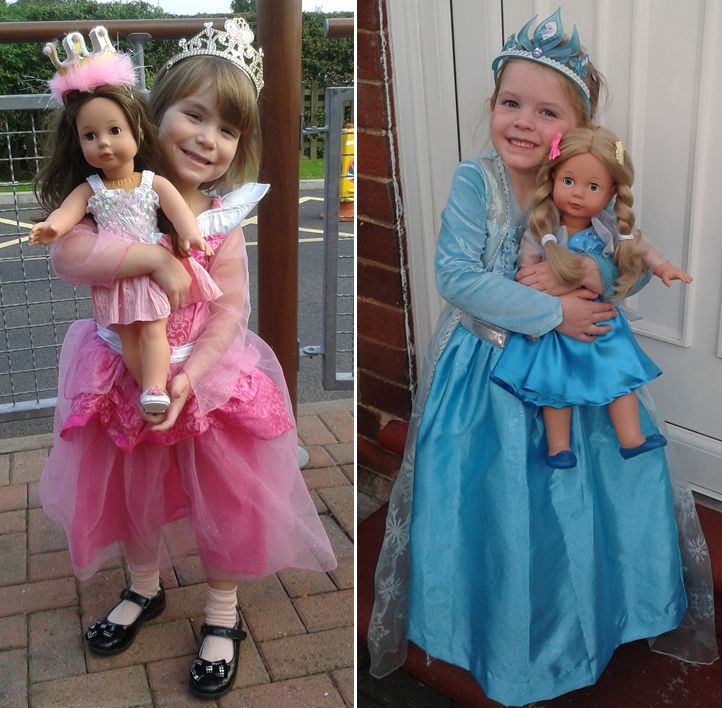 Other day to day skills that children can learn from dolls, include dressing and brushing hair. Many parents have said to me when buying a doll that they are hoping dressing a doll will encourage their child to dress themselves. It’s also a great way of introducing a potty, or helping a child learn to swim. There are many situations like these that can be role played with a doll and turned into a game. As a child grows up they will mostly move away from role playing with baby dolls and find playing with dolls that are grown up like themselves more appealing. 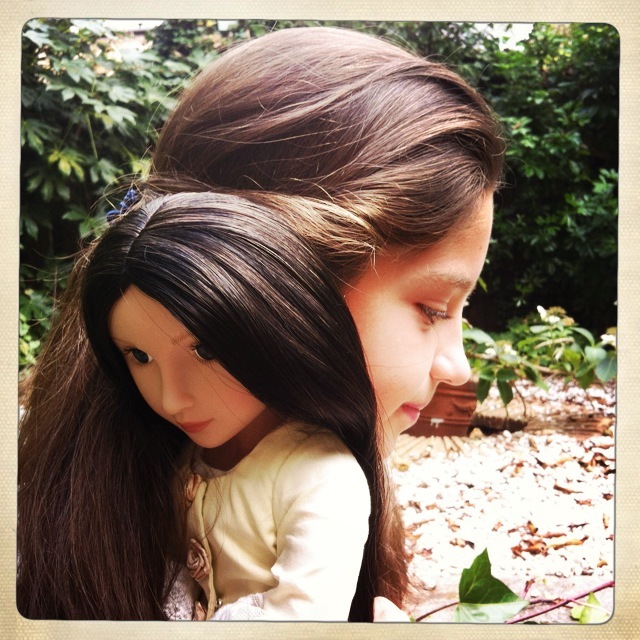 Dolls for older girls make very good companions. They don’t argue, they aren’t spiteful, and they always want to play your games! They love the same things and have the same taste in fashion. I remember what fun I had as a girl dressing up my dolls, washing and styling their hair, and acting out various scenarios. I also loved to make them clothes and this moved onto making clothes for myself. Rosie my 11 year old has just set up a doll room for two dolls with all the furniture and accessories needed for day to day living at home and school, and this game will go on for weeks. Children can begin to understand and come to terms with difficult situations that they have been involved in by role playing with their dolls, such as falling out with a friend, or going to a new school. But, the most wonderful thing about dolls is that they will do absolutely anything that is in a child’s imagination. They will go to ballet classes, have singing lessons, kick a football in the garden, catch butterflies and even time travel! The list is endless, and because of this freedom and flexibility with play, the child’s imagination and creative skills will be stimulated while having a great deal of fun. 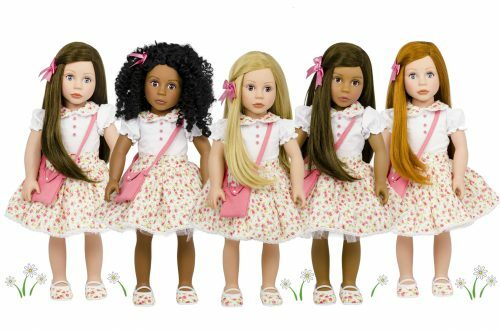 I mentioned Rosie earlier, who has just started to play with her dolls again at age 11 (thanks to the arrival of Our Generation dolls and their fabulous accessories) having had a year off because she thought she was too grown up to play with them anymore. She said to me after half term, that since she’s been playing with dolls again she is happier than when she was on her gadgets all the time. This was wonderful to hear because it was such a battle to get her to do anything other than play on Movie Star Planet! So next time Dad says, “Why does she need another doll? She’s already got one”, you can tell him a little bit about all the developmental benefits your gorgeous girl will reap from playing with dolls! And yes, two dolls is double the fun and double the creativity. Has reading this helped you understand more about what your little girl or boy is gaining from playing with dolls? 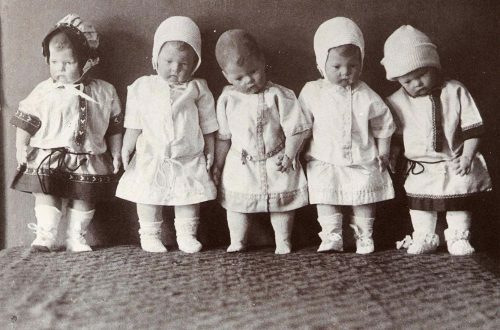 Or perhaps it has taken you back to the days when you played with dolls? Either way, we would love to hear your stories and see photos if you have any that you would like to share. Hello Elaine, thank you for your comment. That’s such a good idea having a pot luck evening. I wonder if I could do that for some of the Syrian children in refugee camps somewhere who have lost everything. Love, love, loved this!!! It is so true! I saw it with my grandson and then even more with my first granddaughter! Now the second granddaughter is so sweet. I adore watching them coddle their ‘babies’. Cate, your Rosie looks like an older version of my son to be five granddaughter, Ava. I want all to know, I believe my grandchildren are treasures from heaven!! Such joy they bring to this world!! Hello Jutta, isn’t it lovely that little boys also enjoy playing with dolls when they are small. I wish more boys were given the chance but I have a feeling that in general things are improving with more people being aware that doll play is good for boys too and perfectly healthy. Can’t believe Ava is nearly 5!! Where does time go?